Miss[a:Brandy Nacole|6429866|Brandy Nacole|http://d.gr-assets.com/authors/1348164273p2/6429866.jpg]has done it again! I have immensely enjoyed this book. 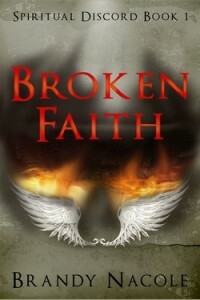 It's about angels and vampires, about the eternal struggle between good and evil.